Unity tutorials that is /not/ video. A simple program that creates images of random mazes. Print them out and play them later! (Like, with a pencil.) No Java needed! 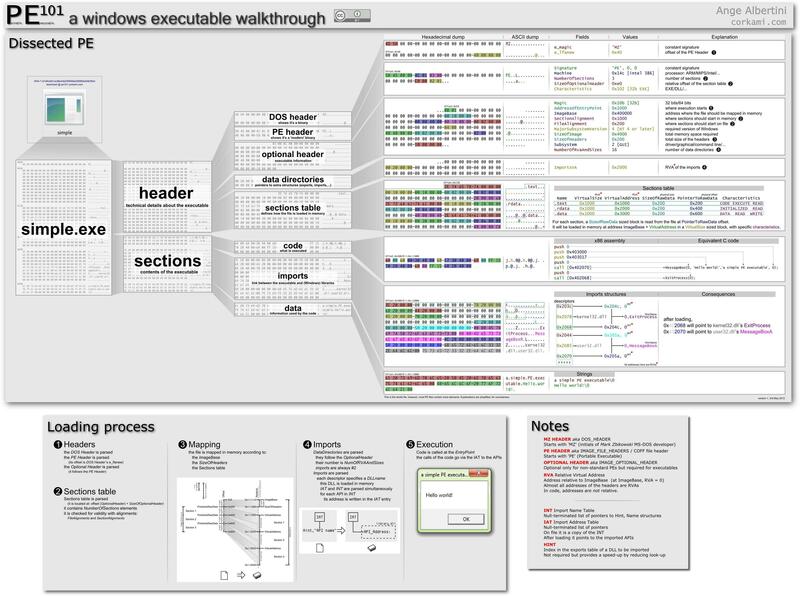 A dissected Portable Executable break down to a memory map. How Levenshtein works...The Levenshtein algorithm (also called Edit-Distance) calculates the least number of edit operations that are necessary to modify one string to obtain another string. The most common way of calculating this is by the dynamic programming approach. Compare two Strings, using Damerau-Levenshtein distance in T-SQLThis is the most informative calculator demonstrating the Damerau-Levenshtein distance algorithm!